With the increasing popularity of Coordinate Measuring Machines (CMMs), and adoption of AS9100 regulations, we’re seeing more and more questions about how to use your CMM data for AS9102 reports. 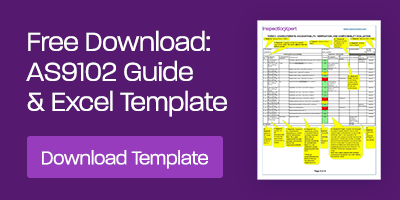 If you’re new to the aerospace industry or you’re not up to speed on Revision B of the AS9102 standard, then you might be feeling overwhelmed by this new reporting requirement. Identify the part for the first article inspection (FAI) and associated sub-assemblies or detailed parts. All material and process specifications, as well as any special processes and functional testing defined as design requirements, must be accounted for on Form 2. All product characteristics such as dimensions, tolerances, notes, etc.... must be accounted for on Form 3. An inspection drawing or model is required whereby all inspection characteristics (defined using CAD annotations) are clearly identified with uniquely numbered inspection balloons. The numbers on the inspection balloons must correspond to the characteristic numbers on Form 3. Forms 1 and 2 are not addressed at all in CMM Software. 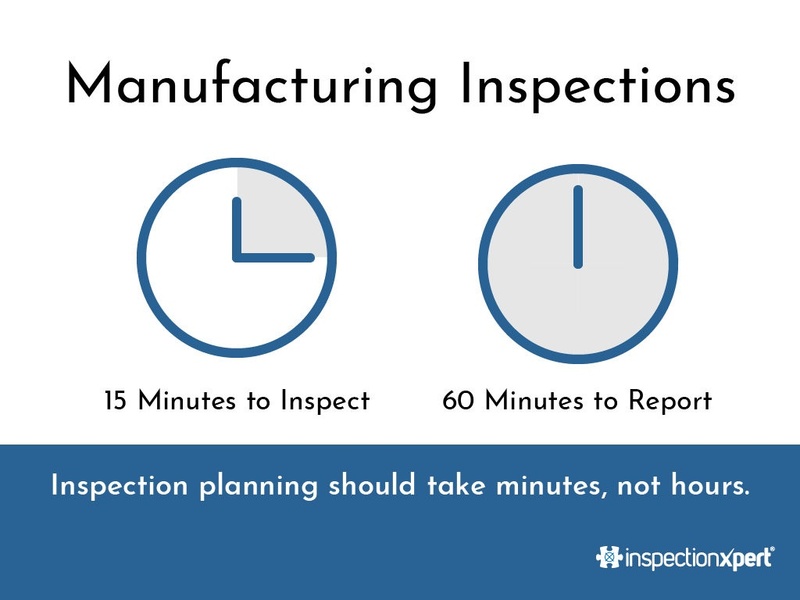 CMMs do create inspection data for Form 3, but even then there are issues. CMMs are great at comparing a physical part to a virtual part (i.e. CAD model) or to a master 3D part and providing information about deviation of features (e.g. points, etc…) from their expected locations. However, CMM software doesn't typically correlate that data back to the product characteristics (e.g. CAD annotations) called out by the engineer. AS9102 Form 3 requires an inspection drawing where all inspection characteristics (dimensions, tolerances, notes, and symbols) are identified with uniquely numbered inspection balloons. 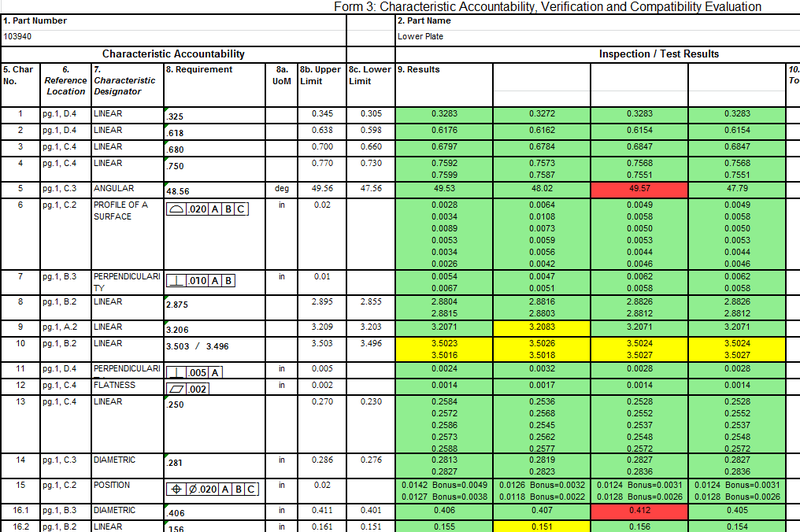 Additionally, there is a corresponding spreadsheet with rows for each of the inspection characteristics that displays the nominal value, the upper spec limit, lower spec limit, inspection method, any special tooling, and the actual measured value. Without a software solution, you’ll have to manually draw balloons on your drawing, build Form 1 and Form 2, and type in or copy and paste the results from your CMM software into Form 3. With InspectionXpert, you can simplify the process and build all aspects of Forms 1, 2 and 3, and export all that data into an Excel AS9102 report. InspectionXpert adds uniquely numbered balloons, extracts the expected values from CAD, PDF, or TIFF files, imports the report from your CMM, maps the measurements to your part drawing, and exports all that data back out to a comprehensive AS9102 report. Ready to learn more? 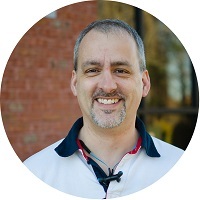 We’re watch a webinar on creating an AS9102 with InspectionXpert. You can also try it yourself with a free 14 day trial of InspectionXpert.